Reactionary Republicans give Democrats their best opportunity in years to take over the State Government. 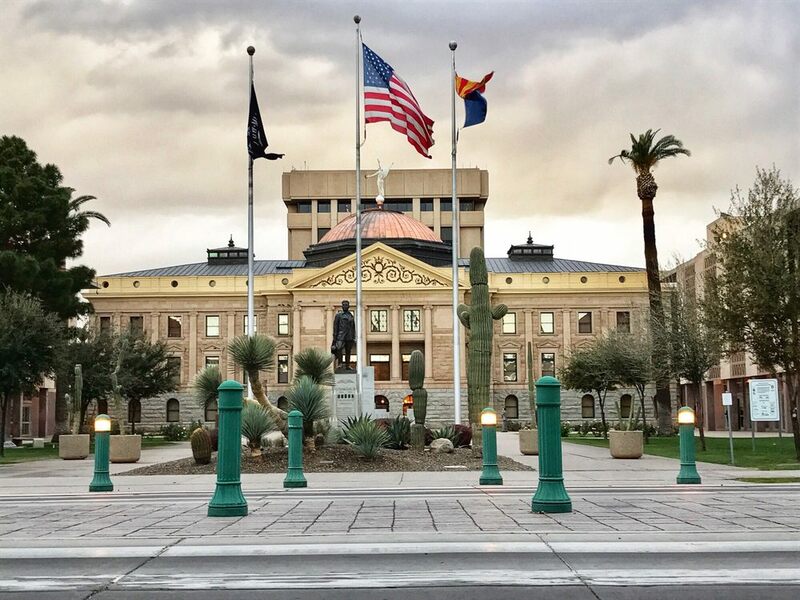 Gaining control of the State Legislature is within the Democrats reach as the reactionary and backward Republican Leadership has brought the state to the lower depths of most national rankings. 2018 presents an ideal opportunity for LD Democrats as they run to take over the State House and State Senate. The ascension of Donald Trump, the embrace of Dark Money, Koch Brother, and other oligarchical interests by Governor Ducey and the out of touch Republican State Leadership, and the rise of the Me Too and Red for Ed Movements have driven progressive enthusiasm to a fever pitch as LD Democratic offices report record attendance at monthly meetings and up to triple the amount of volunteer requests. Democratic figures ranging from the head of the Maricopa County Democratic Party to all interviewed LD Democratic candidates are pledging to run on an agenda of fully funding public education, good paying jobs, health care, infrastructure (including clean energy), and combatting political corruption to bring our state up from the depths of our national rankings. How did the Republicans give Democrats this great opportunity? Simply put, the Republicans lost touch (if they ever had it) with the needs of the people they were elected to serve and decided to advocate for corporatist and ultra-conservative organizations that were able to fill their campaign coffers. Abandoning once sensible conservative positions on issues on fiscal responsibility, immigration, and birth control (just research the one time positions on a woman’s right to choose of Ronald Reagan, George H.W. Bush, and Donald Trump), this coddling of reactionary and backward interests has led to Arizona placing in the bottom rankings of most social justice indicators. 41st in Safety on a separate report. 43th in the number of Poor and Extremely Poor Children. 47th in Childhood Hunger and Obesity. 30th in School and Summer Feeding Programs. 42nd on Fourth Grade Reading Performance. 34th on Eighth Grade Reading Performance. 45th on on time High School Graduation Rates. 23rd on Prisoner vs. Public School Spending. If one wants to research what the Republican Party has done recently on progressive issues like Child Care, Education, Health Care, Infrastructure, Voter Access, and the Environment, that person can look at the website votesmart.org and be thoroughly dismayed by its revelations. While the site clearly reports the voting results of a smorgasbord of legislation championed by the reactionary State Republican leadership and most, if not all of its members, such as expanding school vouchers, funding Koch sponsored schools at our state universities, making the ballot process harder, allowing campaign contributions to remain anonymous, invading a woman’s privacy, and allowing gun purchases without background checks, there is virtually nothing to be found on helping child care, public education, our water supply and general infrastructure, and improving voter access. The Republicans further showed their disdain for the public good by not yet allocating $56 million in federal child care funds to the appropriate state agencies, saying they ran out of time at the state legislature. Common sense dictates most leaders would find the time if the issue concerns helping children. These examples of how Republican-led priorities have hurt the state have also given an opening for Democrats, with many enthusiastic volunteers, to do well in the November elections. What the Democrats should do to take back the State Legislature for the People? Championing a progressive message, conducive to their legislative district, on topics like education, health care, infrastructure (including clean energy), good paying jobs, and improving democratic access like early voting and making the ballot process easier. Challenging Republicans to debate the issues including the ones they profess strength in like the economy, taxes and border security. If one delves into the positions of both parties, one will find the Democratic message on these topics is just as valid, viable, and worthy for consideration. From speaking with some LD candidates, apparently, some Republicans are hesitant to debate. Democrats should bring that up again and again. Voters will pause and wonder why the candidate is afraid to discuss the issues. Reaching out to every qualified voter. Again most, if not all, Democrats interviewed in earlier posts realize this and they know they have to showcase their program to independents, conservative Democrats, and disaffected Republicans. They also have to reach out to people in rural areas as well as the cities and suburbs. No one should be taken for granted or discarded. Never let up. Democratic Candidates and their volunteers need to work hard every day until Election Day. As the Clinton people found out in the Rust Belt, taking the Blue Wall states for granted is why Mr. Trump is in the White House and not her. 2018 is a great moment for Democrats. There is great enthusiasm among the people for a new direction. Republican Leadership has lost touch with the mainstream and the Democrats can boast many compelling candidates who are ready to take their place and lead starting in January 2019. Arizona needs Progressive Problem Solvers to address the needs of the people and the state and this year is the best opportunity for the fulfillment of that vision. Previous articleNo one should have to worry about the Pharmacist not filling their prescription. It all sounds good but, where is the HISPANIC part of the Arizona Democratic Party? Are you ignoring them again until the last moment? Can we start seeing some postings in other than English?